I can remember seeing a while back an old reprint of advertisement for the Beatles Apple label, showing a one man band who in the ad copy signed to the Fabs label and subsequently made enough to run a Bentley. Looking back now, it seems very much the only people who actually struck gold via Apple were the lawyers. New Yorker trio Mortimer certainly didn’t. They did however manage to get their eponymous debut released on Phillips in 1968, but despite the personal intervention of George Harrison to get the band on board at Apple, the follow up recorded for the label was left to languish unloved for nearly 50 years until its release now. Originally intended to be released after the Iveys album (the future Badfinger got stiffed in the same way too) in the summer of 1969, this record was produced by Peter Asher (Macca’s the girlfriend Jane’s brother), but for reasons we will go into later never managed to reach the pressing plant. Mortimer had their roots in Garage quintet the Teddy Boys, who cut four well-received singles for Cameo Parkway in 1966. On the back of that they offered the chance to record an album which was duly completed, but Cameo were taken over by Abkco (the company of one Allen Klein, who will loom large in the Mortimer story unfortunately) and the record was junked. The Teddy Boys were aghast at this setback after their hard work, but slimming down to a three piece they threw themselves into work on the New York Folk circuit (even though they were hardly a folk band at all). 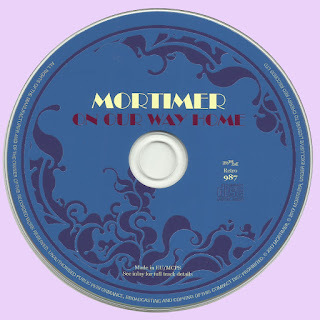 This got them noticed by manager Danny Secunda (brother of The Move’s handler Tony), who after organising their debut album with Phillips, decided that they would be able to make more impact in the UK. Details are sketchy but as to why “On Our Way Home” was not released at the time, but a key element seems to have been the arrival of Allen Klein (lightning did strike twice for Mortimer unfortunately) at Apple replacing their fervent backer Ron Kass. One might have thought Klein was nurturing some sort of grudge against the Mortimer boys and drummer Guy Masson was unceremoniously escorted out of Apple by Klein’s “business associates” when he tried to find out if that was the case. Whatever the reasons, in the can the LP remained ever since. Which is a great shame, because the majority of the LP is jolly good, in fact a bit of a masterclass in late 60s Soft Pop Sike. 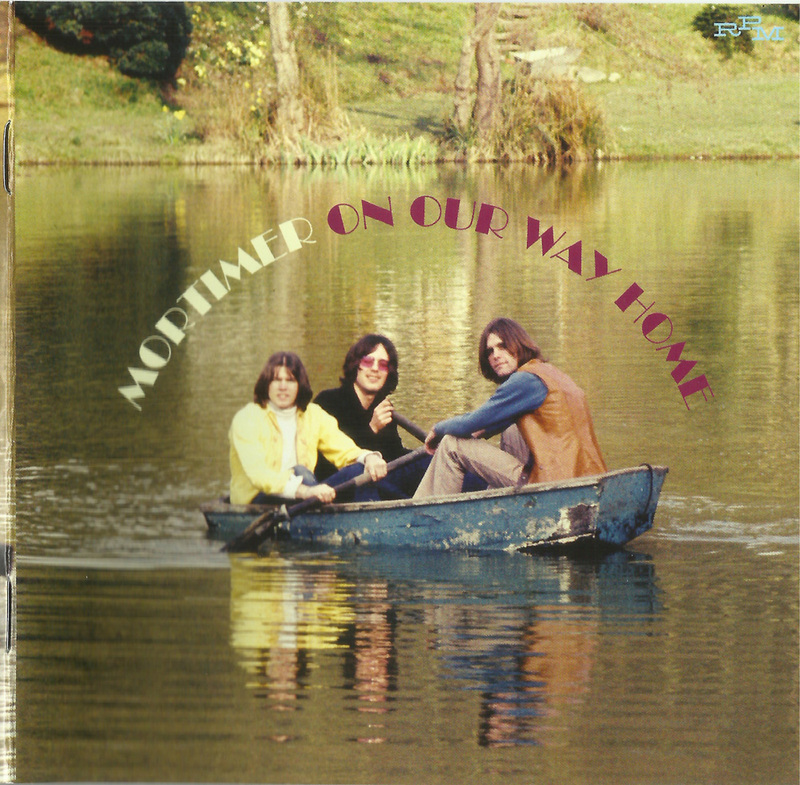 Mortimer came on like an acoustic Beach Boys/Bee Gees mix up, lots of tight harmony singing with fans of the Lovin’ Spoonful finding much to enjoy here I would think too. 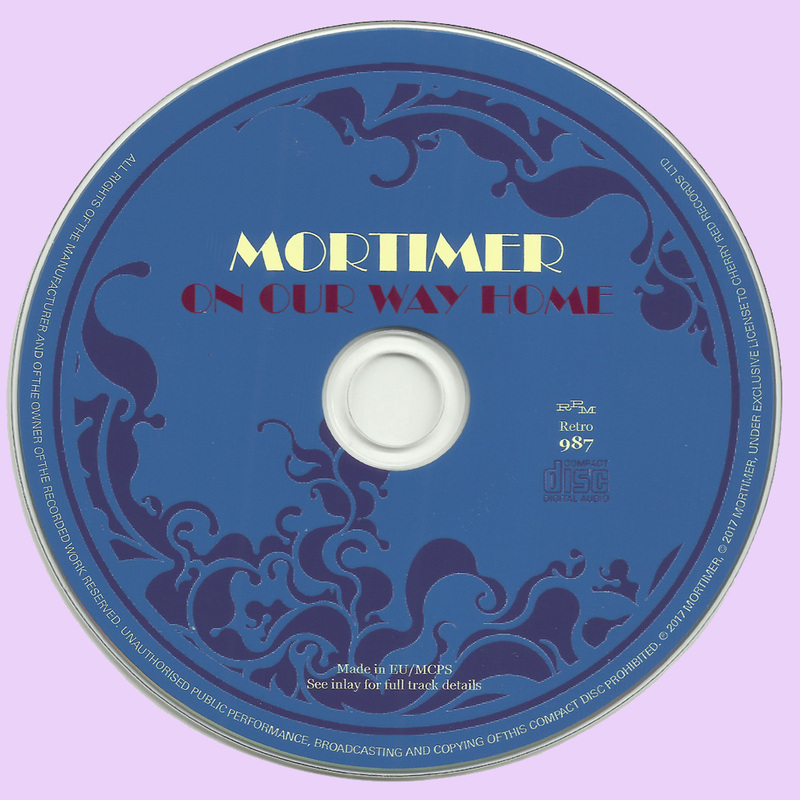 Though Mortimer specialised in lazy, hazy sunny day Pop occasionally they did produce the odd tougher offering – “You Do Too” is faster, harder hitting and there is some stinging fuzz guitar, perhaps as a look back to their Teddy Boys days. Singer Tom Smith’s voice is a little reminiscent at times of Mickey Dolenz, no bad thing of course and this song does recall one of the Monkees’ more “out-there” efforts. “Don’t Want To See You Anymore” is a sparsely accompanied beauty and “I Don’t Know” seems in a mad rush to cover as many Pop modes as possible, with orchestral strings jostling with MOR/Easy Listening and Beat to dazzling effect. Of the bonus tracks “Christine Tildsley” is a very pretty Harmony Pop character portrait, “Last Of The H” starts with an atypical chant/bongo combination and “Ingenue’s Theme” is a lovely piece of John Sebastian/Paul Simon-style slowly drifting Folk Rock. 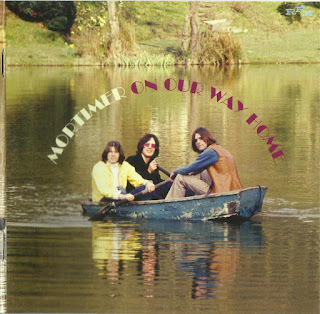 The title track here was given to them by Paul McCartney (later cut by the Fabs as “Two Of Us”)”, but otherwise the entire record was all self-penned by the three band members, showing such a sure talent for composition that Macca’s effort doesn’t over-shadow the other writing here at all. Sadly the set-back from Apple HQ was the final straw for the band as Mortimer split and though Smith and bass player Tony Van Benschoten stayed in the UK (mindful of possibly being drafted to ‘Nam on their return home), Guy Masson did go back to the Big Apple to play on the Van Morrison LP “Moondance”. It’s a real shame as that was the last time any of the trio recorded, as they were clearly a talented bunch, thwarted by business concerns rather than any fault on their part. “On Our Way Home” stands up in 2017 as a gentle but alluring 60s Pop album of no small charm and merit. Muito obrigado por mais esse... Uma pergunta: Qual a diferença entre o rockasteria e o therockasteria? Thanks a ton, Marios! You don't, by any chance, happen to have their first record, too, do you? That one's difficult to get a hold of, as well. Keep up the good work!